Respectful of each person’s self-worth, St. Thomas Aquinas High School seeks to develop each student’s God-given talents in a safe and caring atmosphere of sharing and challenge. 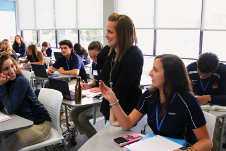 STA teachers challenge students to think critically, embrace state of the art technology, and explore global trends, while equipping students with the confidence to achieve at STA and beyond. STA offers each student the privilege to mature in one's Catholic faith. Morality and social justice are the cornerstones of a Service Learning initiative which focuses on making a difference in the STA community and our world. Respect for human life, created in the image and likeness of God, serves as the foundation of every effort. An appreciation for the arts, cultural diversity, and competition is the pulse of STA activities. The ability to develop each student’s unique gifts is founded in a wide variety of clubs, cultural events, and athletic teams. STA is where champions are made! New this year at Aquinas are two virtual reality (VR) systems that immerse students in a three-dimensional world. "We're trying to give the student many opportunities to refine their knowledge in science," she said. "We can impress the facts on them a different way." 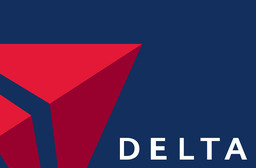 Partnering to create awareness and sustainable practices! 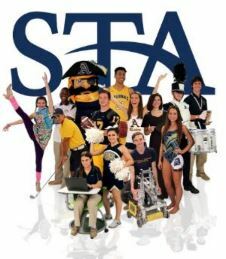 "The STA faculty and staff work tirelessly to promote student interests and produce well-rounded individuals prepared for the future." 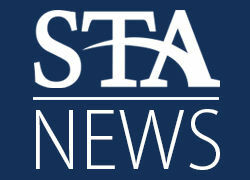 "STA has provided me with a solid foundation and has challenged me to branch out in every aspect." 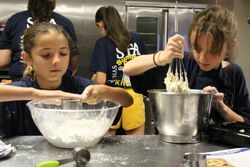 "When you are involved in the STA community, you are a part of a family and you come to the understanding that you represent something bigger than yourself." "St. Thomas has allowed me to flourish in academics, athletics, and service alongside my outstanding peers." "The teachers and administrators at STA not only give you the tools to be a life long learner, but they contribute to your growth as a person." Advice to future Raiders: "Persistence is key. You may not always succeed the first time, but be a pain, keep trying." "STA challenges me to excel in academics, leadership, service, and the arts." "STA has given me the opportunity to explore and develop my love for music, my love of knowledge, and my love of God. " "STA has shaped me into who I am today through the emphasis on the Catholic faith and on the need for community service." Founder of "Take the Stage"
"STA challenges me to work my hardest everyday." "STA has given me the tools to create a foundation for success."